In January, several Bay Area public agencies, including East Bay MUD and the City of Richmond, filed lawsuits against the world's largest banks, alleging that the banks rigged a key interest rate to steal millions of public dollars. But on Friday, a federal Judge in the Southern District of New York dismissed these cases in favor of the banks. 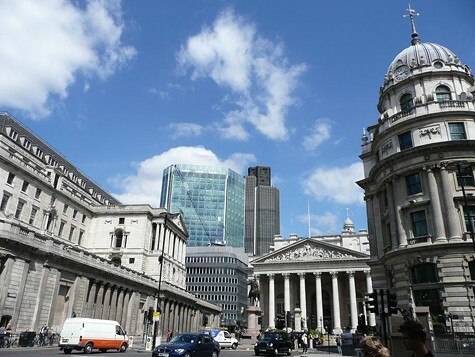 The ruling comes as a big blow to cities, counties, and public agencies that are seeking some sort of justice and restitution after the complex financial fraud involving the London Interbank Offered Rate, known as LIBOR. Now cities like Oakland and San Francisco, both of which have been contemplating filing their own lawsuits, will have to regroup and consider their options. LIBOR gets it name from the City of London. As the Express reported last month, the banks, including JP Morgan Chase, Bank of America, and Citigroup, allegedly rigged the LIBOR rate downward during the financial crisis, forcing governments to pay more for interest rate swap contracts signed in previous years. While no one knows just how much money the banks were able to extract from the public, Oakland's finance and legal staff estimate the city may have lost several hundred thousand dollars from the fraud. Judge Naomi Reice Buchwald ruled in her order dismissing the case that the lawsuits cannot proceed under US antitrust and RICO Act laws for several technical reasons. First, under antitrust law, a plaintiff must show damages resulting from antitrust activities such as price fixing, or underselling competitors. Judge Buchwald noted, however, that the setting of the LIBOR rate was never in fact a "market" process. Instead it was always a product of a private trade group, the British Bankers Association. Therefore even though the banks lied about LIBOR, and rigged the rates, the crime cannot be said to be a violation of antitrust laws because the interest rate was never set through a free market. The banks may have lied and cheated their public clients, but they didn't violate the letter of the Sherman Act or the Clayton Act — the two key laws that prohibit market manipulation and antitrust conspiracies. Per the RICO Act, which outlaws coordinated criminal enterprises, Judge Buchwald said the location of the crime, London, puts the banks beyond the jurisdiction of US law. Judge Buchwald justified her decision by claiming that US, European, and Japanese regulators are already investigating and punishing the banks for the LIBOR conspiracy. "We recognize that it might be unexpected that we are dismissing a substantial portion of plaintiffs’ claims, given that several of the defendants here have already paid penalties to government regulatory agencies reaching into the billions of dollars," wrote Buchwald in her order, referring to the penalties paid by the banks. "The broad public interests behind the statutes invoked here, such as integrity of the markets and competition, are being addressed by ongoing governmental enforcement." However, officials have only forced three of the sixteen banks that set the LIBOR rate to forfeit a combined $2.5 billion. Many experts have estimated that the banks reaped far more from rigging LIBOR, going back to 2005 when the British bank Barclays admitted to having begun manipulation of the rate, and through at least 2011 with the other LIBOR panel banks. None of the banks have been criminally charged for the conspiracy except for a subsidiary of the Swiss bank UBS. Oakland had an interest rate swap contract with UBS for several years that likely lost tens or hundreds of thousands of dollars due to the UBS and the other banks' rigging of LIBOR. Plaintiffs can appeal the order, but have not yet indicated whether they will do so. San Francisco's Board of Supervisors is set to hear a report on LIBOR manipulation later this week. Oakland's City Attorney and financial staff are still weighing their options under the law.